No matter your fitness objective, resistance training can probably help you achieve your goals. Trouble is, with the internet so besieged by training tips and recommendations, how can you tell a strength training program that will deliver real results from another that offers false promises? To help you cut through the clutter, we’ve put together a comprehensive guide to choosing the best strength training program for you. Some programs will require equipment (free weights, resistance bands, etc. ), some won’t. But before you even begin to worry about identifying the right tools for the job, you have to figure out what that job is. In short, you need to determine what you want your strength training program to do for you (besides the obvious, of course). Looking for a strength training program you can start today? 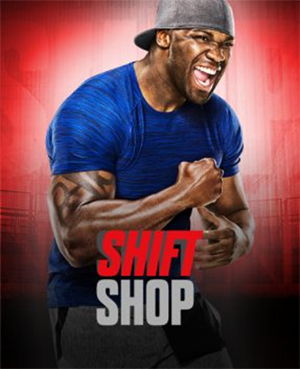 Check out the programs available on Beachbody On Demand! Whether you pump iron, stretch rubber, throw balls, pull cables, battle ropes, swing kettlebells, or use your body as your barbell, you’re going to become stronger. While some protocols and equipment are more effective than others, challenging your muscles triggers adaptations that help them better meet that challenge. But the benefits of strength training extend beyond simply increasing strength. It can also help you build muscle (i.e., increase muscle size), boost power, improve muscular endurance, and lose fat, depending on how you approach it. Here’s how training strategies differ for various goals. Strength is defined as the maximal force you can apply against a load — or, more simply, how much weight you can move (lift, squat, press, etc.). Strength-focused programs typically use low-repetition sets with heavy weights that are at least 85 percent of your one-rep max (1RM). If your goal is to increase the size of your muscles (think: bodybuilding), conventional wisdom dictates that you should stick to 6 to 12 reps per set, and to limit rest to 1 minute between sets. But recent research suggests that the ideal rep range might be wider than previously thought. One study in the Journal of Applied Physiology found no difference in hypertrophy (i.e., muscle growth) between men who performed 20 to 25 reps per set and those who did 8 to 12 reps per set. How many times should you work out per week to build muscle? As far as frequency, aim to train at least 2 days per week, and no more than 5 or 6 days. “The key is to stimulate muscle growth often enough to effect lasting increases in size and strength, but not so often that such adaptations are hampered by insufficient recovery,” Thieme explains. In the context of fitness, the technical definition of power is “the time rate of doing work,” which is basically the speed at which you can apply force. It’s all about explosive movement, and there are many ways to go about increasing it, but two of the most common are weightlifting and plyometrics. To increase power by pumping iron, the typical advice is to perform multiple sets of 1 to 5 explosive reps using 75 to 90 percent of your 1RM. As with strength building, you’ll need to rest for 2 to 5 minutes between sets to allow for sufficient power recovery. Olympic lifting and powerlifting are examples of this kind of resistance training. The second common power training method, plyometrics, is also sometimes referred to as jump training, although that’s not entirely correct, as you can do upper-body plyometrics as well. Jump squats, split jumps, box jumps, clapping push-ups, and medicine ball throws are all examples of plyometric exercise. The ability of a muscle to contract repeatedly for an extended period of time without fatiguing is known as muscular endurance. That’s not to be confused with cardiovascular endurance, which is the ability of the heart and lungs to deliver oxygen to the body’s tissues — including muscles — during sustained activity. If you want to increase muscular endurance through strength training, you’ll need to do multiple sets of 15-plus reps. That typically means using a weight that’s around 70 percent of your 1RM. Rest between sets should also be minimal (30 seconds or less). When it comes to exercising for fat loss, cardio gets the lion’s share of the attention. And while it’s true that cardio can be an effective option — especially if it’s high-intensity cardio (e.g., HIIT) — it’s not the only one. A strength-training program emphasizing compound, multi-joint exercises at 6 or more reps per set can help you reach your fat-loss goal, says Tony Gentilcore, C.S.C.S., a strength coach in Boston, Mass. The reason: It keeps your metabolism elevated for longer after you finish working out, burning more calories overall. Strength training will also help ensure that you don’t lose muscle as you shed fat. Studies show that when you focus on steady-state cardio (think: jogging) for weight loss, as much as 25 percent of that lost weight comes from lean mass, aka muscle). With strength training, nearly all of the weight lost is fat. It’s worth noting, however, that while strength training can aid fat loss, you won’t optimize it without dialing in your diet. That doesn’t mean just cutting calories. Indeed, if you reduce your intake too drastically, you may experience the opposite of the desired effect, as your body might respond to severe calorie restriction by slowing your metabolism to conserve fuel and energy. Instead, gradually lower your daily intake by 200 to 300 calories every few weeks until you hit the ideal intake for your desired weight and activity level. Also focus on fueling with whole foods, vegetables, fruits, and grains, and limit processed foods as much as possible. What you put in your body affects what you get out of it. Pick a primary goal, and get any or all of these at no extra cost! Among the most powerful fringe benefits of regular strength training are its bone-building superpowers. Bone loss typically begins in a person’s 30s, but can be slowed by strength training, thus reducing the risk of fractures later in life, according to a research review in Clinical Cases in Mineral and Bone Metabolism. By extension, strength training can help prevent injury throughout your musculoskeletal system, even if it isn’t your activity of choice. Runners, for example, can benefit greatly from adding strength training to their weekly workout regimen. According to Gentilcore, bigger, stronger muscles may help runners limit wear and tear on their joints. “If the muscles are bigger, they’re able to absorb and produce more force,” he says. Studies also show that building stronger muscles can improve biomechanics and reinforce connective tissues. The result: less time on the disabled list. The whole “survival of the fittest” thing isn’t limited to the natural world. After analyzing data from more than 80,000 UK residents, researchers from the University of Sydney discovered that those who engaged in strength training at least twice a week reduced their risk of death from any cause by 23 percent, regardless of whether they did weightlifting or bodyweight training. Regardless of your goal, any smart program should feature each of the following. All of the aforementioned strength training strategies emphasize compound (multi-joint) moves like squats and pull-ups that hit multiple muscle groups. “Muscles don’t work in isolation in the real world, so if you want to build functional, real-world strength, the bulk of your program should encompass exercises that train your muscles to be strong together,” Thieme says. That doesn’t mean that you shouldn’t do isolation exercises like bicep curls and triceps kickbacks, which target a single muscle and move a single joint. It just means that they shouldn’t be the focus of your workouts. No matter your goal, you won’t make gains if you don’t consistently increase the challenge to your muscles. This concept is known as progressive overload, and smart programs like Body Beast and SHIFT SHOP are predicated on it. By regularly increasing the amount of weight you lift, how you lift it, and/or the exercises you do, your muscles will continue to adapt by growing stronger, Thieme says. Even when you find the perfect program for your goals, remember to incorporate recovery into your weekly routine. This means prioritizing quality sleep, nutrition, and hydration, as well as scheduling rest/recovery days. “But don’t confuse rest with inactivity,” says Thieme. “Stay active — walk, hike, bike, swim, do yoga, etc. — but keep your intensity below ‘workout’ level.” If you can easily carry on a conversation, you’re good. If you can’t, you’re pushing yourself too hard to facilitate your recovery. Keep in mind that it’s perfectly normal — even expected — to feel sore in the first 24 to 48 hours following exercise if you’re starting a new program or switching up your routine. This is known as delayed-onset muscle soreness, or DOMS. It’s usually temporary, and as long as it doesn’t inhibit everyday movement, it’s not a valid excuse to take an extra recovery day. But if it causes you to wince while climbing stairs or getting out of a chair, or if it lasts longer than a week, back off exercise for a day or two. Shoot for 20 to 25 grams of protein per meal, and .5 to .9 grams per pound of bodyweight total per day. Protein shakes offer a quick, convenient means of getting the muscle-building nutrients you need throughout the day — especially after a workout. What Are the Best Muscle Groups to Train Together? There are no hard-and-fast rules as to which muscle groups you should train together. You may choose to follow classic bodybuilder muscle pairings like chest with triceps, back with biceps, and shoulders with legs. Or, you could do total-body workouts every time you exercise. However, the muscle groupings you train on any given day are less important than ensuring you’re giving your muscles sufficient recovery time between sessions. 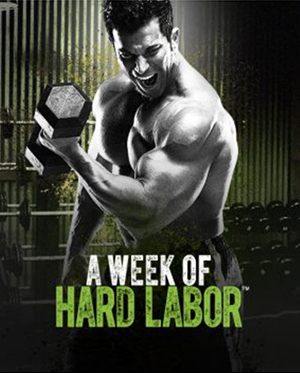 If you work, say, your chest and back one day, don’t do an arm workout the following day, for example. “Any time you press something you also use your triceps, and every time you pull something you also use your biceps,” Thieme says. So be mindful of which muscles you’re targeting, and give them ample rest before hammering them again. How Long Does It Take to See Results from Strength Training? So long as you’re training regularly, you can expect to see increases in strength within a couple of weeks of starting any new program. Physical changes (read: muscle growth and greater definition), on the other hand, typically take longer to notice. With consistent training, you’ll likely start noticing changes in muscle size and shape after about 3 weeks. Can You Get Stronger Without Weights? People often assume that strength training means lifting massive weights, but there are modalities to suit any goal, preference, and price point. In fact, you carry a highly effective muscle-building tool with you at all times: your own bodyweight. And while bodyweight training has a reputation for being a beginner strength training approach or a “plan b” for when you don’t have access to weights, it can help even veteran lifters build more muscle. Best of all? Using just your body allows you to do your weight training at home. 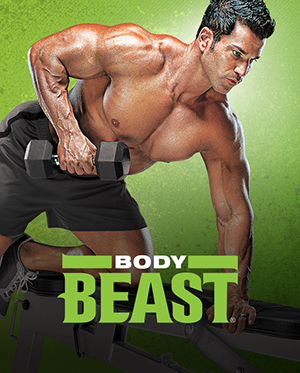 With an ever-growing library of workout programs, Beachbody On Demand offers something for every goal and schedule. And if your goal is becoming stronger, the programs below can speed you on your way. Each of them will help you build muscle, shed fat, increase strength, enhance muscular endurance, and boost power — not to mention build stronger bones and reduce your risk of injury — from the comfort of home. Each program also emphasizes some goals over others. So how do you choose? Easy — just select the one that most closely matches your fitness level, time constraints, preferred workout style, and ultimate objective. And if you can’t get enough of the Obsession, try out A Little More Obsessed in January 2019! These six brand-new workouts include new exercises and are a little shorter than 80 Day Obsession workouts, but still high intensity. For those seeking a more traditional bodybuilding plan (i.e., one that focuses on hypertrophy), Sagi Kalev uses the latest exercise science and cutting-edge training techniques to help you build head-turning muscle and shed the fat that conceals it. With his help, you can sculpt a ripped physique in 90 days. This comprehensive program blends resistance training, high-intensity cardio, and yoga to kickstart your total-body transformation in just 21 days. The accompanying nutrition plan is crucial for success and uses color-coded, portion-control containers to simplify healthy eating. 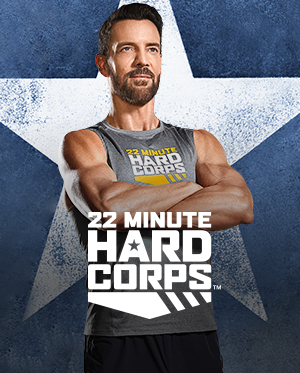 Tony Horton’s military-inspired workout program eliminates three of the biggest obstacles to getting in shape: time, experience, and inconvenience. In 22 minutes a day, Tony will lead you through total-body routines that alternate between resistance training and cardio, and that can be done anywhere with minimal equipment. If you crushed 21 Day Fix, consider trying 21 Day Fix EXTREME to sculpt an even leaner, stronger, more athletic physique. It, too, packs strength training and high-intensity cardio into short, 30-minute workouts, but true to its name, it cranks up the challenge to deliver more extreme results. You’ll need heavy dumbbells and a “whatever it takes” work ethic to get through these five all-new muscle-building workouts from the Beast himself, Sagi Kalev. If you find yourself hungry for more, do a second or third round of AWOHL, or move on to Body Beast if you haven’t tried it already. Learn how to burn fat faster through resistance training with Chalene Johnson’s HIIT opus. This program is tough, so if you’re a beginner, consider completing one of Chalene’s other programs — such as PiYo — first. But if you’re already in good shape, this 3-month program will help you build a body that makes you smile even wider whenever you look in the mirror. If you’ve ever felt intimidated by the thought of getting in shape, this fun, easy-to-follow program might be just what you need to jumpstart your fitness and nutrition journey. Super Trainer Megan Davies will help you work up a sweat while teaching you the keys to effective exercise and healthy eating, helping you cultivate smart habits that produce lasting results. Super Trainers Autumn Calabrese and Sagi Kalev team up to help you sculpt a dream physique. 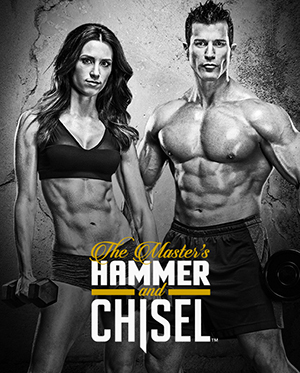 The program alternates between muscle-building Hammer workouts (created by Sagi) and fat-incinerating Chisel workouts (created by Autumn) that last from 20 to 40 minutes. You’ll need weights (or resistance bands), a bench, and a chin-up bar (or a door attachment kit for your resistance bands). Designed with athletes in mind, this program emphasizes drills and exercises that build agility, coordination, strength, power, and endurance. Led by Super Trainer Chris Downing, the 25- to 45-minute workouts alternate between strength and cardio training, increasing in length and intensity each week. You’ll never repeat the same routine twice in Super Trainer Autumn Calabrese’s newest program. Eighty unique, total-body workouts will help you burn fat and build muscle — and sculpt a booty and abs that inspire pride. The program includes Autumn’s exclusive Timed-Nutrition Eating Plan to optimize your results and help you get the most from every workout. 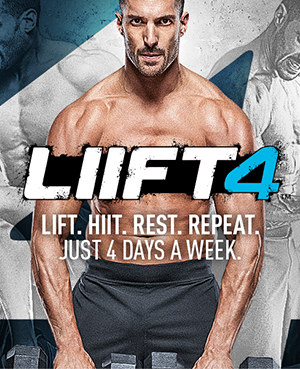 The classic home fitness program created by Tony Horton features 12 intense workouts designed to trigger extreme results. You’ll do everything from classic strength training to intense, martial arts-inspired cardio on your journey to becoming a leaner, stronger, more chiseled version of the person you are today. P90X ONE on ONE isn’t a workout program — it’s a series of individual routines that take you inside Tony Horton’s personal gym for private training sessions and a glimpse at how he creates his wildly popular fitness programs. There’s no schedule to follow, so just cherry-pick workouts that target the areas or skills that are lacking in your current regimen. 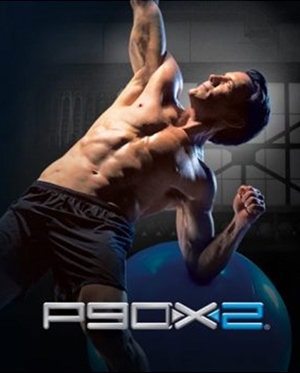 Placing an emphasis on instability training, X2 takes many of the core principles and techniques of P90X and dials them up further to help you increase strength, power, definition, balance, mobility, and agility. Forget the scale. All you need is a mirror to appreciate the extreme results from this body-transforming program. 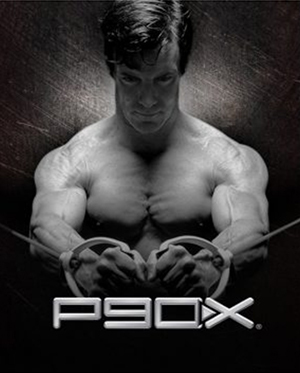 Don’t let the name fool you — P90X3 isn’t a sequel. 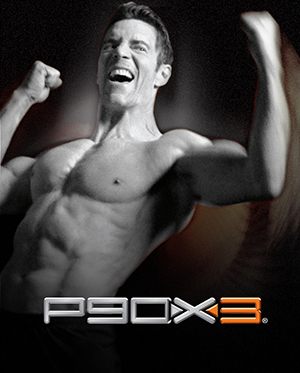 Tony Horton designed it as a standalone program that delivers extreme results through extreme efficiency. Over 3 months’ time, you’ll alternate between 18 heart-pounding, muscle-building workouts that prove you don’t need to spend hours in the gym every day to see dramatic results. 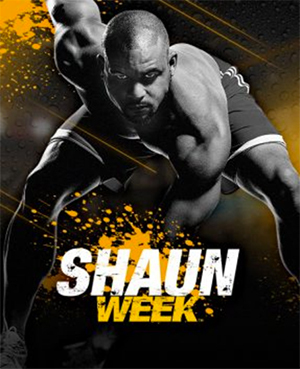 Super Trainer Shaun T — the architect of such wildly popular programs such as INSANITY and FOCUS:T25 — brings you this 1-week, all-out, total-body boot camp designed to kickstart your motivation and challenge your grit. You’ll have to Dig Deeper than you ever have before to survive this hellacious blend of intense strength training and lung-busting cardio, but if you can, you will emerge transformed.